Patio season's here in our neck of the woods which has us turning to our tired outdoor area and thinking of ways to make it comfortable again. With furniture and plants in place, we can now look at the one thing that makes those long summer outdoor dinners with friends memorable and that is the lighting. 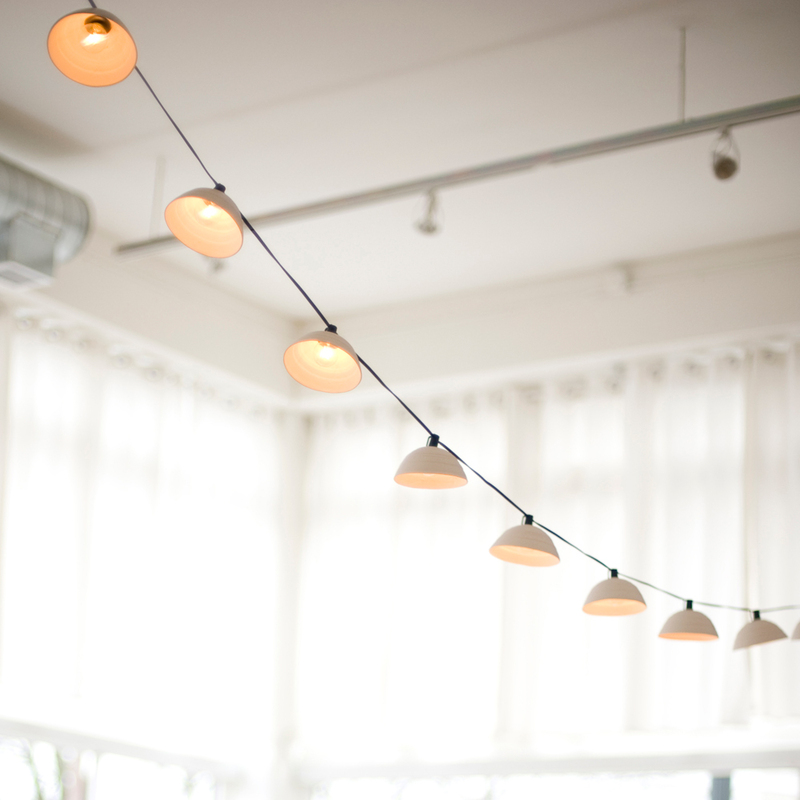 These unglazed ceramic pleated string lights by Oregon designers Pigeon Toe fit the bill nicely. Simple, elegant and timeless, these should add just the right amount of ambiance. This is a beautiful and great to use at home. I will look for a similar string lights design in a nearby store. I hope I can find one.